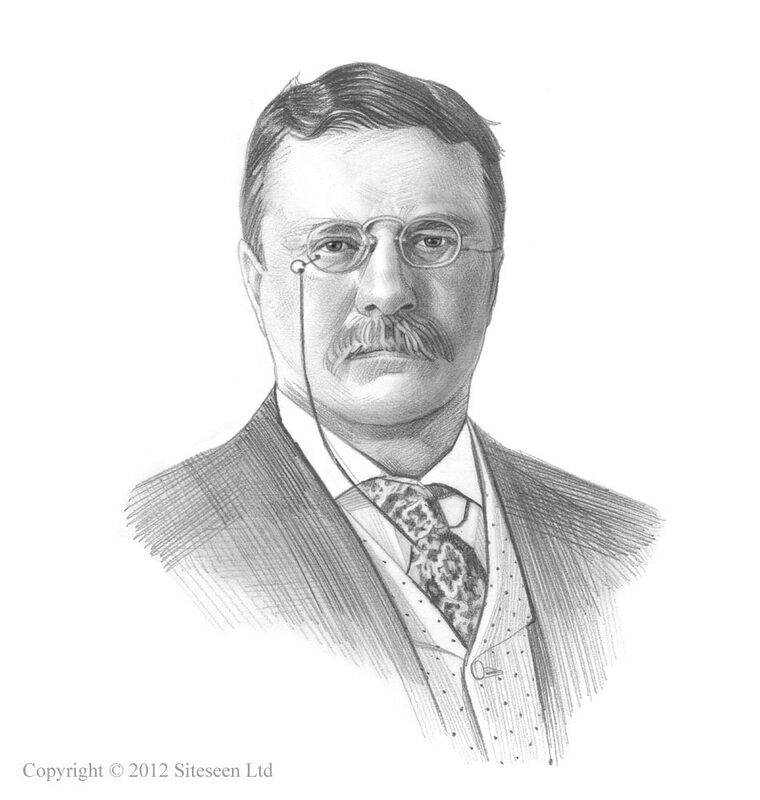 Nativism in America: Theodore Roosevelt was the 26th American President who served in office from September 14, 1901 to March 4, 1909. One of the important events during his presidency was the rise of Nativism in America. Summary and definition: Nativism in America refers to the preference for established US residents, as opposed to foreigners or "others" considered to be outsiders and the opposition to immigration. The belief in Nativism was a prejudicial attitude towards immigrants based on their national origin, their ethnic background, their race or religion. The doctrine of Nativism in America resulted in a widespread attitude that rejected alien persons, or culture, and led to xenophobia and new, stringent laws being passed to restrict immigration. Nativism in America in the 1800's and early 1900's: What caused Nativism in America? Concerns about immigration during the historical period referred to as the Gilded Age (1865 - 1900), led to the rise in Nativism in America. Advocates of Nativism hold the belief that certain skills or abilities are "native" or engrained into the brain at birth. Nativism encompassed the conviction that the interests of established US residents should be given a favored status compared to new immigrants. The policy of Nativism was adopted protecting the interests of native-born or established US residents against those of immigrants. The rise in Nativism in America was due to the following and and explains why Nativists disliked immigrants and feared the growing levels of immigration and what caused Nativism in America. The belief in the "Manifest Destiny" of America, based on the belief of cultural and racial superiority over other nations, was deeply rooted in the minds of many Americans and helped sew the seeds of Nativism. Various US Laws were passed aimed at the Restriction of Immigration, which to many Americans sanctioned the belief in Nativism. The US Immigration Laws were first aimed at restricting "undesirable" immigrants, then specifically targeted the Chinese, then unskilled foreigners, then European immigrants when, in 1892, the Ellis Island Inspection Process was adopted. The massive increase in immigration gave rise to significant social changes and huge disparities in wealth between the rich and the poor. Attempts were made to justify this by citing the theory of Social Darwinism that embraced the belief that some races were superior to others due to their inherent characteristics and moral attributes and advocated the "survival of the fittest" and the adoption of unfair business practices. Squalid, appalling working conditions led to riots, strikes and anarchy which were blamed on new immigrants. Immigrants came from different parts of Europe and Asia and flocked to urban city areas where they congregated in poor, congested neighborhoods created by the unplanned and rapid Urbanization in America. The Assassination of the President McKinley in 1901 had spread the fear of Marxism (a form of communism) that advocated revolution and anarchy (hence the 1901 Anarchist Exclusion Act). The Immigration Act of 1907 was passed further restricting the number of immigrants and established the Dillingham Commission to investigate the effects of immigration in the US. The subsequent Dillingham Commission report discriminated between "Old" and "New" Immigrants concluding that immigrants from southern and eastern Europe posed a serious threat to American society and should therefore be greatly reduced. The rise in the Nativism doctrine and the belief that preference should be given to existing American citizens was often accompanied by xenophobia. The term xenophobia relates to the irrational fear of foreigners or strangers leading to racism, ethnic conflict and ethnocentrism. The term 'Ethnocentrism' is the belief in the inherent superiority of one culture based on judgmental comparisons to different, alien cultures. Xenophobia, Ethnocentrism and Nativism in America was made worse by the widespread newspaper coverage that was given to the Dillingham Commission Report. The dictionary classified immigrants in racial terms and people were placed into ethnic groups. The Dillingham Commission Report favored "old immigrants" who had come from North and West of Europe and opposed "new' immigrants" who came from the east and south of Europe and other parts of the world. The 1911 Dillingham Commission Report further fuelled Xenophobia, Ethnocentrism and Nativism in America during the 1900's by concluding that immigrants from southern and eastern Europe posed a "serious threat to American society and culture" and should therefore be greatly reduced. This opened the debate on "Old immigrants vs New Immigrants"
Despite the Civil Rights Movement many elements of Nativism still resonate in American society of today.